A prolonged and severe cold spell in winter 2008 had brought a ecological disaster to the forests in Nanling National Nature Reserve. Over 90% of the trees were destroyed during that period which caused an unbelievably huge economical and ecological destruction. It was estimated that the forest might need about 30 years to recover. Most of the forest areas with closed canopy in previous years has become open woodland or shrubland areas with open canopy. Trees were particularly suffered from the frost damage. 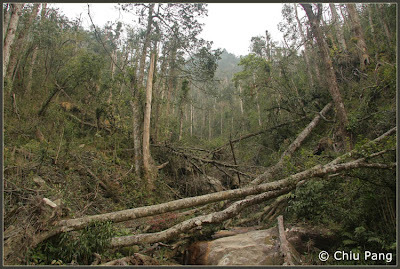 It is noted that the Cunninghamia lanceolata plantations suffered the most where fallen China fir were seen everywhere. 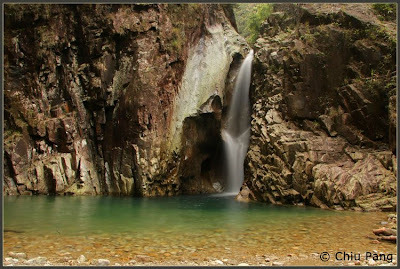 The natural environment in Nanling and Mangshan is one of the best in Guangdong province. It is however susceptible to tourism and management should be made with ecological and geological sense. Mecodium badium (露蕨) shows a lips-like indusium. 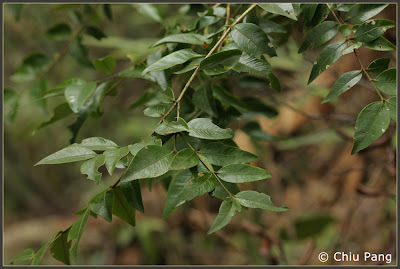 One individual of Buxus megistophylla (大葉黃楊) was seen in XiuHuangShan. 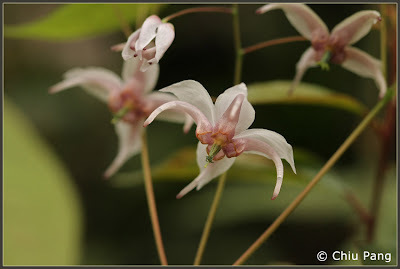 Epimedium sagittatum (三枝九葉草) is a well-known herbaceous plant with high medicinal value. It belongs to the genus Epimedium (淫羊霍屬). 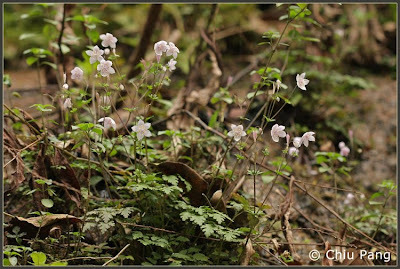 Chirita fimbrisepala (螞蝗七) is widely growing on steep and moist rocks in waterfall group in Nanling Nature Reserve. Acer fabri (羅浮槭) is widely distributed in Guangdong but not including Hong Kong. Rubus corchorifolius (山莓) has axillary inflorescence with single flower. There is not many Rubus spp. 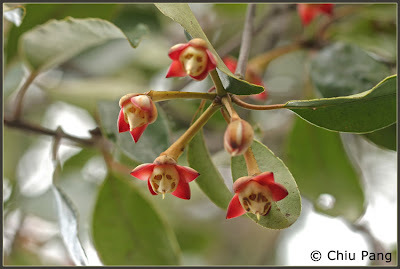 showing this kind of inflorescence in Guangdong. Stachyurus chinensis (中國旌節花) belongs to a small family Stachyuraceae with about 17 species which is mainly restricted to East Asia. The whole family doesn't exist in Hong Kong. This species is widely distributed in Central and South China and also Vietnam. Threats to Nanling National Nature Reserve had been identified in recent years in order to make recommendations to the reserve by many academic and conservation parties. Developments and humun disturbance are inevitable but the sustainability of the reserve should be taken into account seriously. Logging had long been a problem in Nanling but was officially banned since the establishment of the reserve. The adverse effects of logging in the past are still visible nowadays as the logged areas have been degraded to Cunninghamia lanceolata (China Fir) plantation. Hydroelectric station at the entrance of Nanling would definitely disrupt the stream ecosystem and flooding of forests. 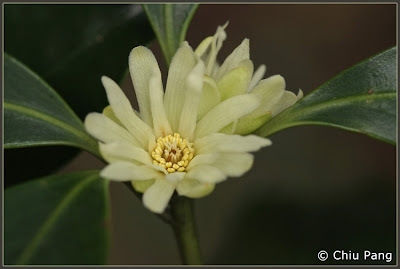 Illicium jiadifengpi (假地楓皮) was found in montane forests at an elevation of about 1,500 m in Mangshan Nature Reserve. 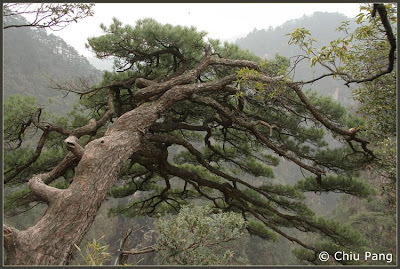 Tsuga tchekiangensis (南方鐵杉) is endemic to China and considered as vulnerable. It is also a tertiary relic species having a very old history! 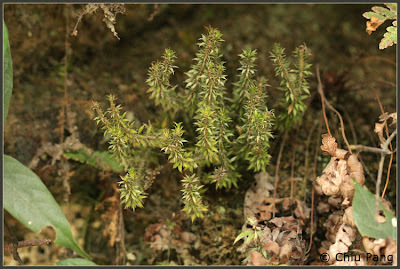 Pieione bulbocodioides (獨蒜蘭) was commonly found growing on steep rock surface with mosses. Nanling Nature Reserve contains rich diversity of orchids. 49 had been recorded in previous survey done by KFBG. Pieione sp. 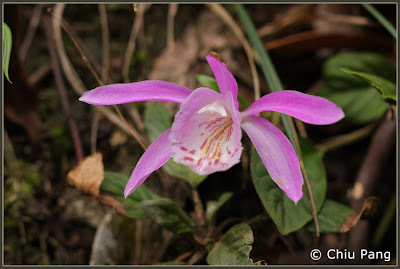 is one of the most abundant orchid species in good forests. Huperzia serrata (蛇足石杉) was regularly seen in both Nanling and Mangshan. Tubocapsicum anomalum (龍珠) is the only species in the genus Tubocapsicum in China. Chionographis chinensis (中國白絲草) is very rare in Hong Kong but it is very abundant in Nanling! Nanling National Nature Reserve (南嶺國家級自然保護區) is located in the northwest Guangdong adjoining Mangshan National Nature Reserve in southern Hunan. 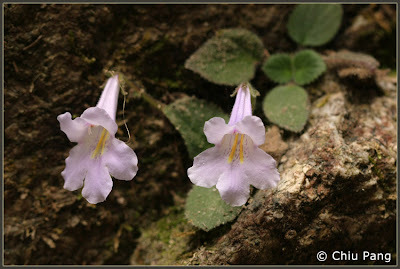 It is very rich in flora where 2431 species in 210 families have been recorded. 36 rare and endangered species were identified including 8 gymnosperms and 28 angiosperms. Making trips to visit Nanling to appreciate its rich flora are not difficult but rewarding. 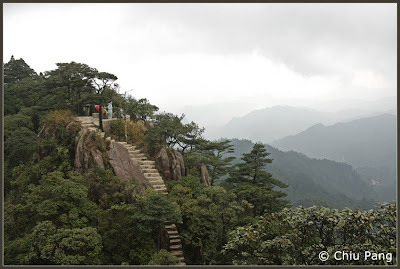 There are extensive network of walking trails to assess sites with rich flora diversity such as Waterfall group (瀑布群) and XiaoHuangShan (小黃山). 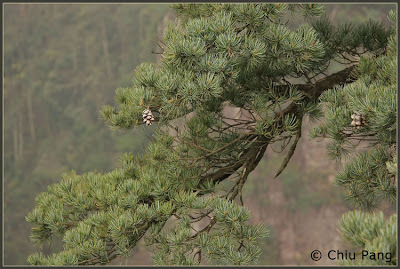 Pinus kwangtungensis (華南五針松) is commonly seen in Nanling National Nature Reserve. It is considered as vulnerable in China. Anneslea fragrans var. 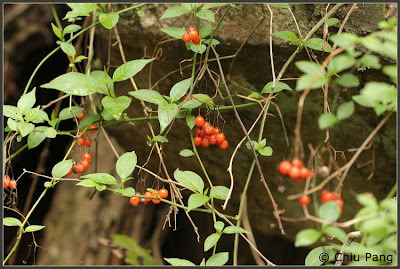 hainanensis (海南茶梨) is rare and localized in Hong Kong but commonly grows in the hillside in Nanling. 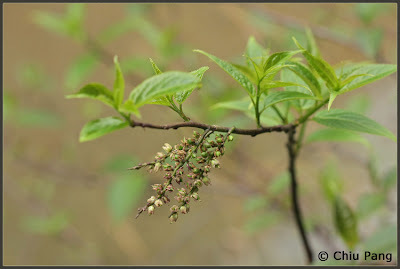 Dichocarpum dalzielii (蕨葉人字果) was commonly found along streambanks. 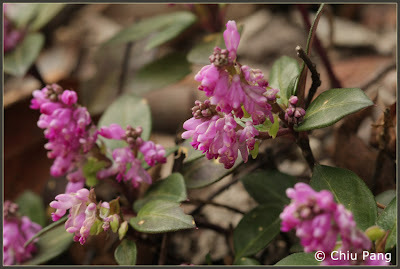 Polygala koi (曲江遠志) is a beautiful subshrub regularly seen in Nanling. 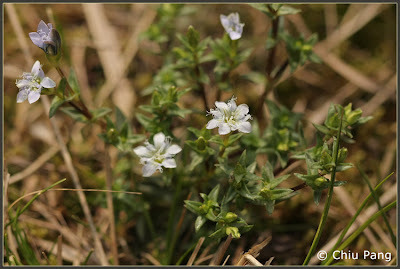 Gentiana panthsica (流蘇龍膽) was found in high elevation in Mangshan National Nature Reserve. Michelia mauadiae (深山含笑) is common in both Nanling and Mangshan Nature Reserve. White patches could commonly be seen on the hills. 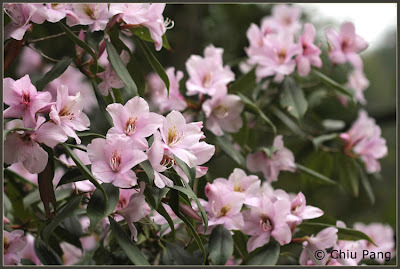 Rhododendron latoucheae (鹿角杜鵑) was the only flowering Rhododendron during my visit. Maybe it's still early to see the blooming of Rhododendron in March. 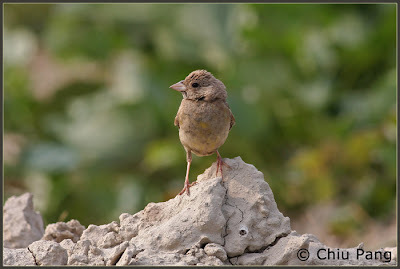 Black-headed Bunting is a passerine bird which breeds in Southeast Europe east to Iran and winters in India. It occassionally occurs in South China including Hong Kong, averaging 1-2 individuals per year. This individual is a female bird wandered to Hong Kong from about 16th Nov to 19th Nov 2008. 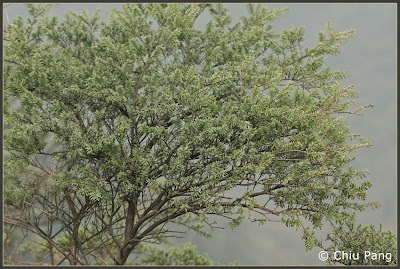 Its occurrence attracted many birdwatchers and photographers to visit it. Buntings is a group of birds belonging to the family Emberizidae which is phylogenically closed to finches, Fringillidae. Buntings is seed-eating birds. This hungry passerine was attracted to spend a lot of time on consuming a locally common weed, Digitaria sanguinalis, in Long Valley. 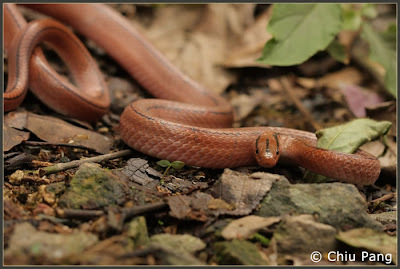 Elaphe porphyracea nigrofasciata is a rat snake species that is mainly found in upland forest in Hong Kong which gives its common name, Red Mountain Racer. It is described as crepuscular but most of the individuals were found in the daytime. According to Karsen et. al. (1998), the snake is considered to has a timid and docile disposition. However, this individual attempted to bite vigorously when it was discovered and handled. It is not as docile as expected. It is interesting to know that the whole body of a snake is covered with scales, including its eyes. Snakes do not have eyelids while its eyes are covered with a transparent scale called spectacle. This structure will turn cloudy when the snake is ready to shed its skin off, causing the snake temporarily blind! Karsen S, WN Lau and A Bogadek. 1998. Hong Kong Amphibians and Reptiles. The Provisional Urban Council, Hong Kong. Aspidistra is an east Asian genus distributed from Eastern India, Indochina, China and Japan. It was previously reported that only 10 species were in the genus in late 1970s. However, it was later revised that at least 93 species are described and it is estimated that there should be about 200 to 300 species in Aspidistra. It was greatly under-estimated in the past because it was used to be ignored by the field botanists. 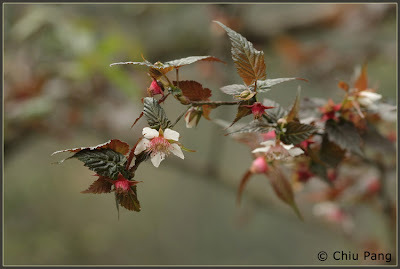 It is definitely not easy to identify them if it is not flowering. The Aspidistra bears a bell-shaped flowers closed to the ground which was thought to be pollinated by slugs. However, scientists later found that slugs are of no interest in the flowers but prey on the snails. Amphipods were observed to be the prominent pollinators of the species, A. elatior. 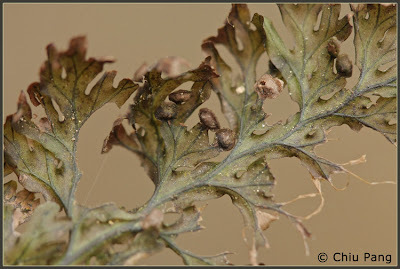 It was found consuming the pollens stored inside the flowers, and hopping to another flowers. Between the disc-like stigma and the corolla, there are several narrow poles, through which the amphipods gain access to the stamen. The stigma then acts as a block to rain and other flower-damaging arthropods, and as a gate for the selected pollinators. Aspidistra shows an interesting and spectacular floral-pollinator relationship. A moth with great camouflage was hiding under a leaf. 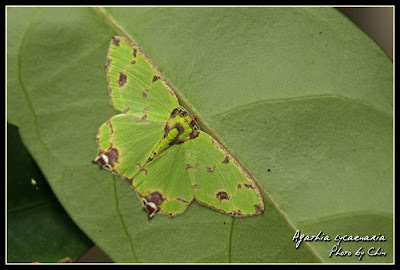 Its flattened body and green wings with dark spots blends itself into the background very successfully. After passing an exceptionally warm February, Lepidoptera is unexpectedly much active. 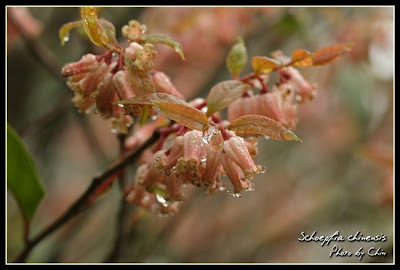 A tree or shrub genus consists of about 30 species distributed in tropical and subtropical America and Asia. Only 4 are found in China while 1 in Hong Kong. 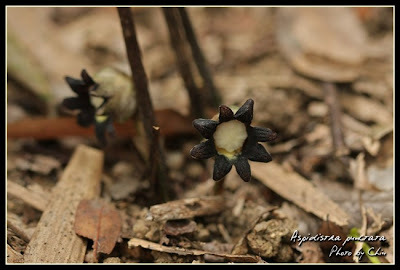 Schoepfia chinensis is endemic to the mainland which is mainly distributed in South China. It is uncommon in Hong Kong which is protected under the Forestry Regulation. I've recently discussed about tree planting with students studying landscape architects. There are quite a lot of tree or shrub species that are suitable to be planted in Hong Kong rather than the exotic ones. Though the growth rate of the native species might not be as fast as Acacia or Eucalyptus, they are much more valuable in terms of their ecological value. Also, some of them are of high ornamental value, such as this Schoepfia. I am a naturalist based in Hong Kong studying plant biology and phylogeny. I am particularly interested in plant and bird ecology and wildlife watching.